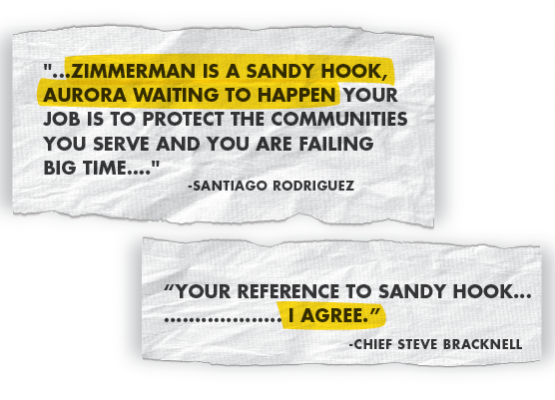 Police Chief Steve Bracknell, who is responsible for the Florida town where George Zimmerman resides, agreed in a series of emails that Zimmerman is a “ticking time bomb” and another “Sandy Hook” waiting to happen. 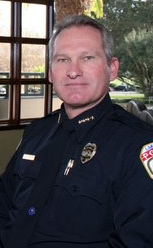 Bracknell expressed his views in response to two emails from Santiago Rodriguez, who reached Bracknell through a contact form on the police department’s website. Bracknell confirmed the emails’ authenticity to ThinkProgress and subsequently tried to distance himself from the remarks. 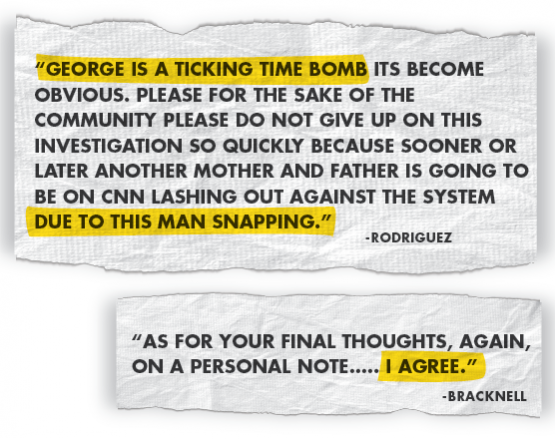 Rodriguez’s first email was an extended, and sometimes angry, critique of how the Lake Mary Police Department handled their response to the recent altercation between George Zimmerman, his wife and his father in law. Rodriguez told Bracknell that he had a responsibility to charge Zimmerman because he was another “Sandy Hook… waiting to happen.” Bracknell responded with a detailed defense of the police department’s conduct, but explicitly endorsed Rodriguez’s comments on Sandy Hook. Asked to elaborate on his email, Bracknell attempted to distance himself from Rodriguez’s comments, saying he did not agree and was “referring to the fact that [Zimmerman] seems to be involved in incidents” involving firearms. In his second email, Rodriguez called Zimmerman a “ticking time bomb” who will snap “sooner or later.” Again, Bracknell agreed. The full email exchange between Rodriguez and Bracknell is available here. The police are still deciding whether or not to charge Zimmerman in connection to the incident. They are attempting to recover video of alleged assault that Zimmerman’s wife, Shellie, recorded with her iPad. Zimmerman’s attorney, Mark O’Mara, acknowledged that Zimmerman broke the iPad into pieces before the police arrived. According to witnesses, Zimmerman also punched his father-in-law in the nose. In her call to 911, Shellie Zimmerman told the police that Zimmerman was threatening her with his gun. “I don’t know what he’s capable of. I’m really, really scared,” Shellie said.